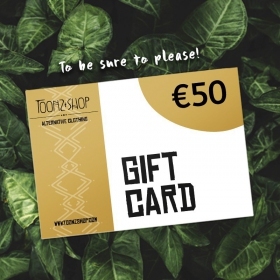 You want to offer a gift certificate from Toonzshop ? It's easy, take a look on the following steps ! We don't send them by Post ! You have to print it or use/email the code by yourself. Even if you order a gift card only, without anything else, you'll have to select a delivery option. 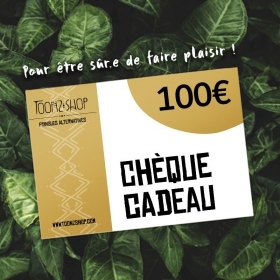 The cost of delivery will be added to the amount of the gift card selected ! >> Your gift code will be available directly on your client space, once the order is paid and accepted by our staff >"my gift certificates" 24h max after payment. You can simply use the code on our website (in the "enter your coupon gift" space, at the checkout step) or print and deliver it by yourself. > You have 12 months to spend the whole amount of your gift certificate. > If you're spending more than the value of your gift certificate, you'll need to pay the extra by credit card, paypal or bank transfer. > If you're spending less than the value of your gift certificate please contact us (commandes@toonzshop.com): we'll make you another gift code.